I always say, "this is my favorite food." And every time I totally mean it. I have a favorite fried chicken, baked chicken, beef roast, pasta, etc. I had never had "homemade" lo mein until my hub's mama came to visit a little over two years ago and she made us so much delicious Asian food. I may, or may not have - eaten most of this by myself. I just couldn't stop myself! It is seriously one of those Asian noodle recipes that are super easy once you realize what goes in it and get the proper ingredients. 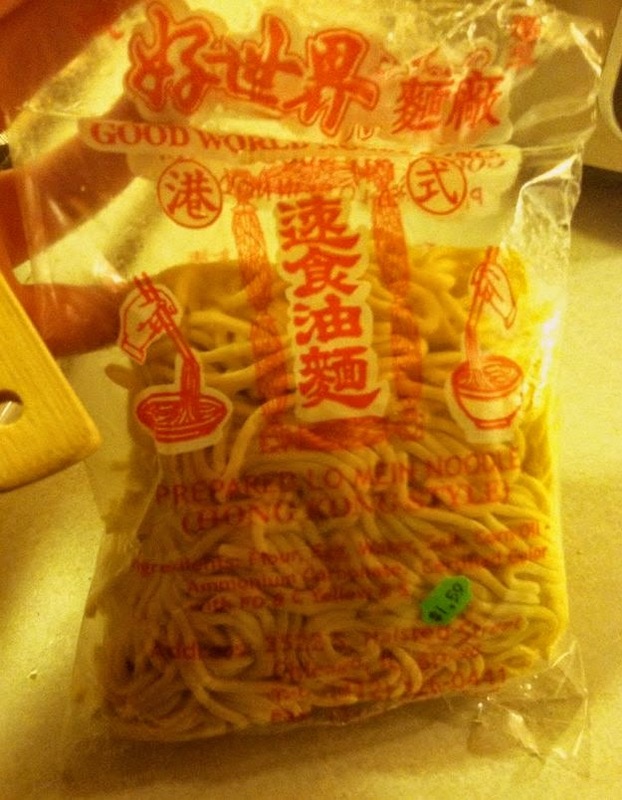 The hardest part is locating good lo mein noodles. I have tried several kinds since then and these happen to by my personal favorite. They are located in one of the Asian grocery store's refrigerated section. I buy several bags at a time and keep them in the freezer. Our local Walmart and HyVee both offer prepared lo mein noodles in their Asian sections. 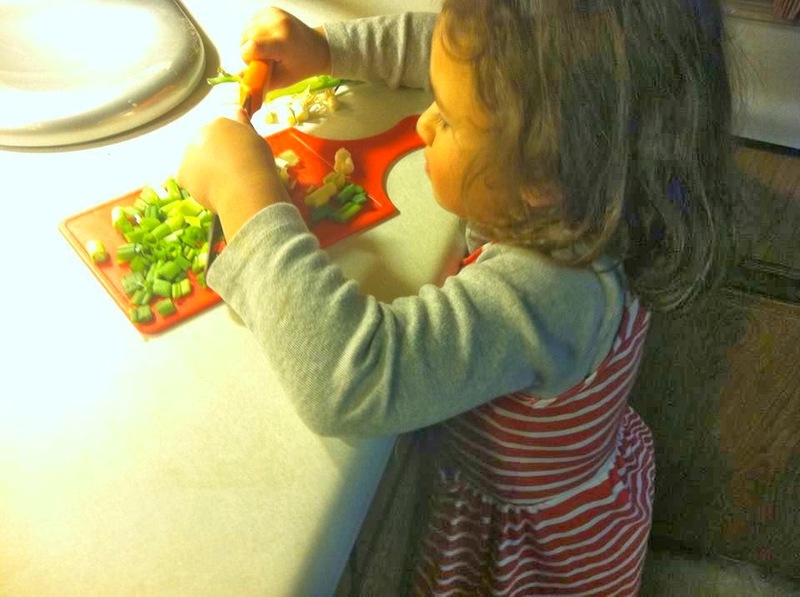 My daughter is now getting in on the action and helping chop up green onions! Add the finely chopped beef. Toss in the garlic, black pepper, chicken bouillon. Stir in the oyster sauce to coat the beef. 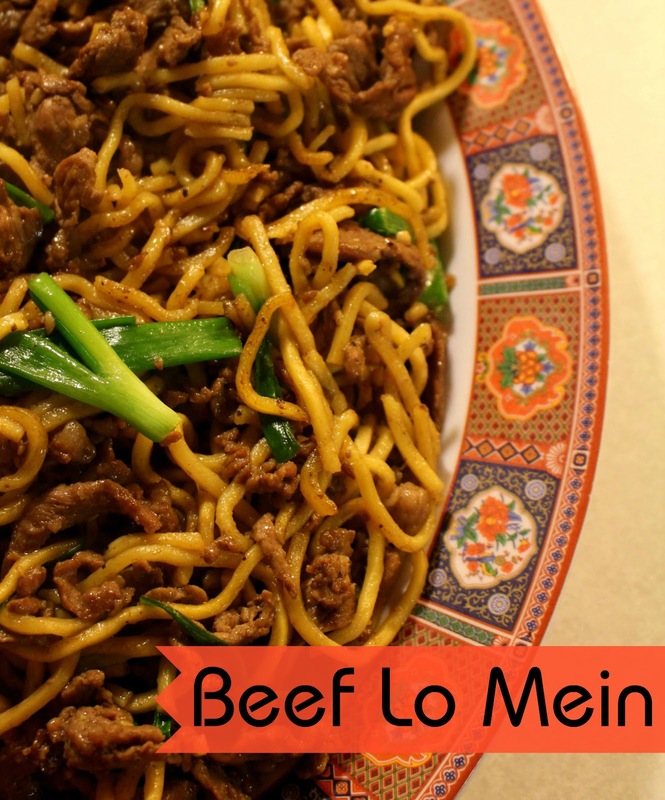 Toss in the lo mein noodles, using two wooden spoons to mix everything together.